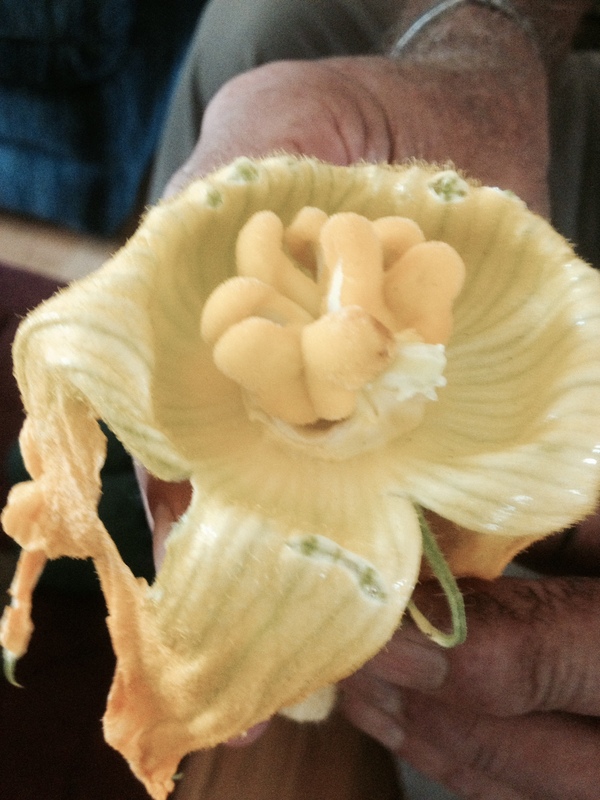 Below you will find a picture of a female pumpkin flower that contains seeds in the lobe. If you were to pollinate this you would end up with a defective pumpkin that could be weak or deformed on the side with the seeds. You are advised to avoid pollinating these pumpkins. The club members have been talking about this problem for a couple of years now so here is a great example of what to be looking for. Thanks to Frank & Marilyn for providing the picture.